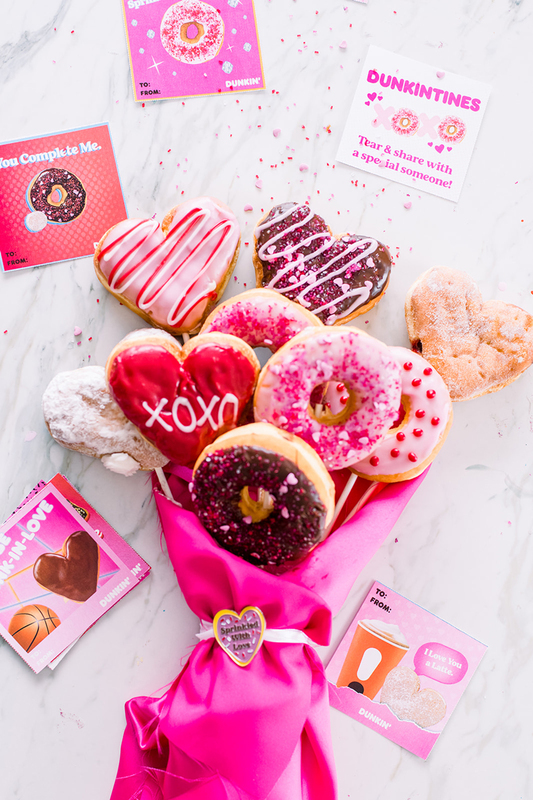 Inside: The best beef jerky bouquet & donut bouquet Valentine gift idea for your guy. When it comes Valentines and gifts for him life can get a little tricky. I feel like all the men out there get off a little easy with their diamonds, teddy bears, roses, and chocolate. Am I right? I mean I don’t know about you, but I don’t think my husband would be super thrilled with a fluffy teddy bear and a dozen roses. Ha. It makes me laugh even thinking about it. So this year I thought I would surprise him with a beefy bouquet of his favorite jerky meats or a donut bouquet for a sweet treat. Now, I can’t jump in on the beef jerky train personally, but that doesn’t mean my husband isn’t a true lover! And what better way to say I love you to your hubby than buying him all his favorite meats and creating a stunning beef jerky bouquet display! If you’d prefer not to DIY, there’s an easy option to buy right here. Since we are in the season of love, I can’t think of a better way! Unless of course, it was a bouquet of donuts or whiskey. Which I found a pretty great idea for here! But back to the beef, I have created the perfect bouquet of love with this mouthwatering beef jerky bouquet that I just know he will love! First, you will need to grab a pile of his favorite beef jerky. Some of my husband’s favorites are Krave, Matador, and of course Jack Links. When I am creating this beef jerky bouquet, I like to buy the small individual packages of the jerky, the dowl rods hold them better when the packages are smaller. To make the flowers, you will use the thin beef jerky and bend into flower shape. The tulip flowers can be made with a simple roll and the flat flowers can be cut from your beef jerky once laid out. Have fun with this step and try not to be too much of a perfectionist. Your guy will love the treat really no matter how this looks. Use the hot glue and make a small light line across the back of the package and attach the wooden dowels. Let them dry. Once the hot glue is dried and the beef jerky packages are secured you will need to secure them into the bucket. To do that you will use your foam and fill the bottom of the container. Then stick each of the dowels into the foam to secure them in place. After you have your beef jerky dowels secured into the bucket, use tissue paper or crinkle paper fill and fill up the rest of your bucket. This will hide the foam. 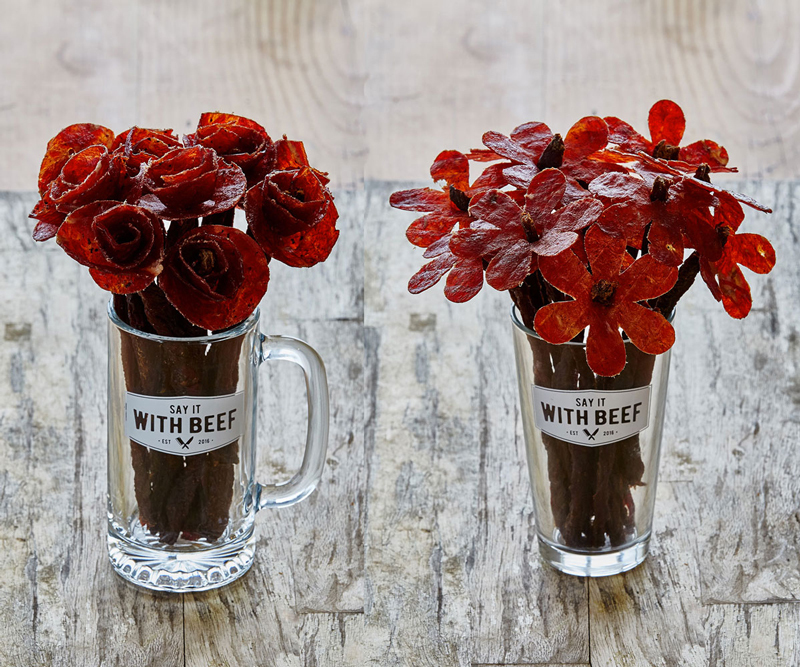 Add a love note, decorations, or fun stickers to make your beef jerky bouquet a little more special for him! 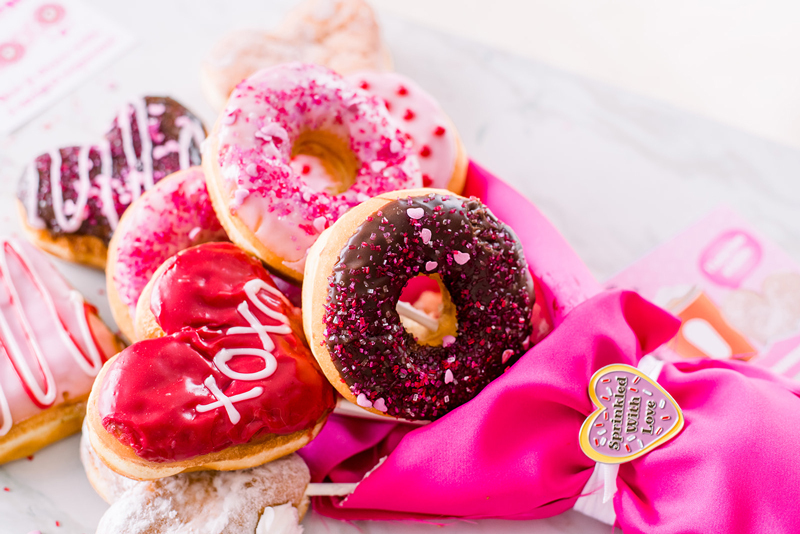 To create this second edible bouquet for Valentines Day you’ll need a dozen donuts, skewers and something to wrap up the bouquet in. 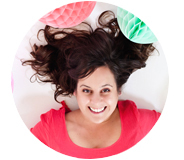 See our step by step DIY donut bouquet instructions right here to create this look. Basically, anything edible you can put on a stick and hand him will be loved this Valentine’s day. Also try this hot and steamy shower balloon idea is a super fun surprise for his morning shower! I also put together the best gift guide for not just him but for everyone. This list of weekend valentines ideas is perfect for you and your man. And last, a fun blind whiskey taste test would be the perfect Valentines date night, plus it would pair perfectly with his beef jerky bouquet. Let me know in the comments what your go-to Valentines gift is for the man in your life is. Is he all about the meat or more into the sweets? 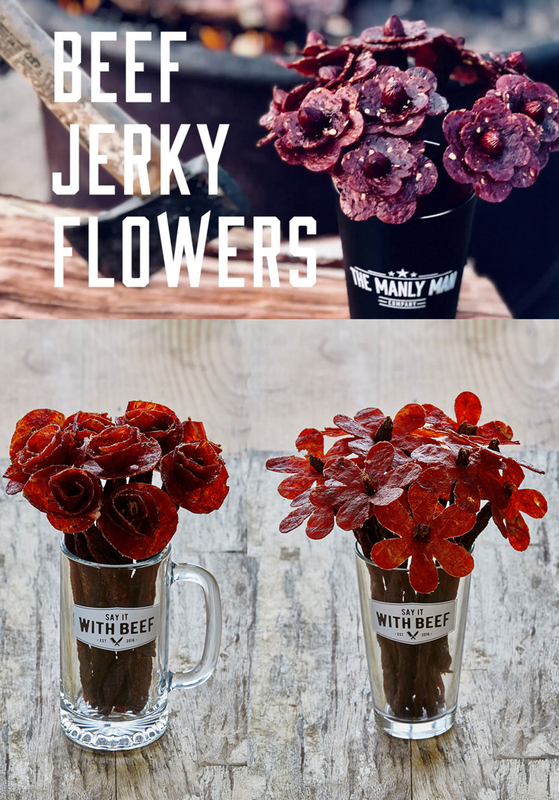 I don’t see the step by step for the beef jerky bouquet, on how you made the flowers. Maybe I’m blind. But all I see is basically assemble the flowers in text. Don’t you go into a bit more detail somewhere? Hi! We have a step by step above written above, and just added more info on the actual flower creation. It’s more of a fluid process though . Cut, roll and create something fun! Good luck! Can’t wait to see what you come up with.